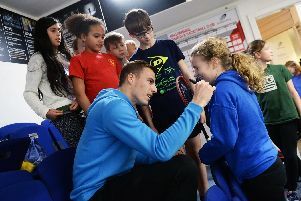 Hundreds of Sheffield school children took part in the third annual OneHealth Primary Schools Squash Festival earlier this week. 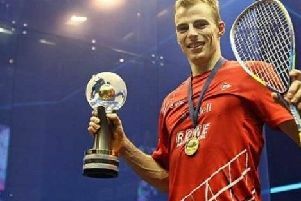 From one Sheffield to another - Nick Matthew is keeping busy in his retirement. 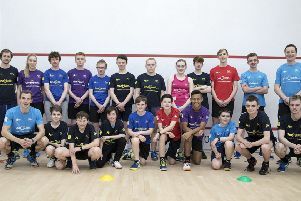 In the Yorkshire Premier Squash League, table-toppers Dunnington continued their inexorable march towards a successful defence of their title by winning their seventh match in seven, destroying Abbeydale 20-0. 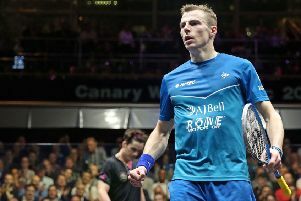 Nick Matthew will take up an advisory role with England Squash and also act as an ambassador for the sport on his retirement later this summer. 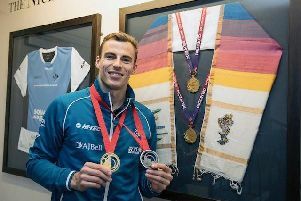 Nick Matthew’s quest for yet another Commonwealth gold may be up and running but he insists his mother is one who deserves medal after he secured a straightforward victory on the day of his parents’ wedding anniversary. 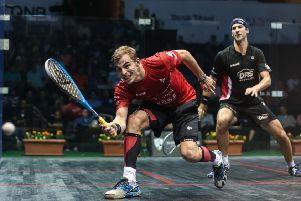 Dunnington sealed their third Yorkshire Premier League squash title in the most emphatic fashion as they wheeled out their big guns to give Hallamshire a hammering. Gary Wilson’s Barnsley based Moto3 team announced an expanded line-up for the 2018 season. 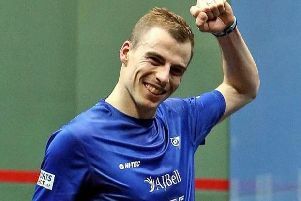 Three-time world champion Nick Matthew has set his sights on ending his playing career on a high. 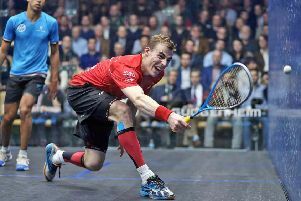 Nick Matthew has confirmed he will retire from playing at the end of the 2017/18 squash season. 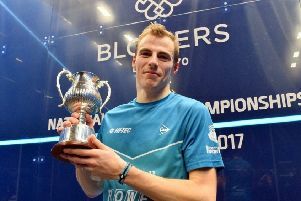 Nick Matthew may not have too many years ahead of him on the squash court, but the three-time world champion is working hard to ensure the next generation is well placed to follow in his footsteps. 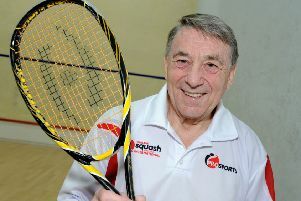 After 50 years of coaching the sport he loves, John Robertson is showing no signs of slowing down. 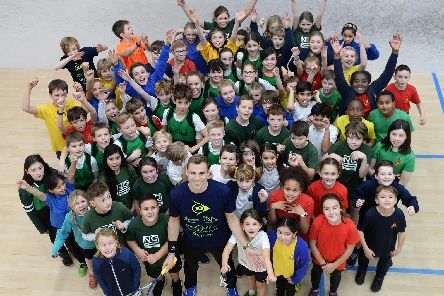 Martin Smith: Could England’s football team follow the lead of other sports and use some Southern Hemisphere scowl? 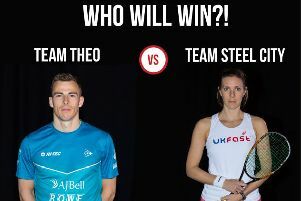 Maybe it’s the hard, clipped accents and that Southern Hemisphere scowl. 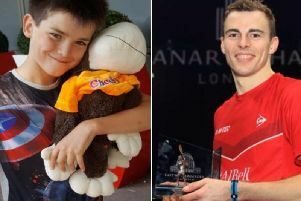 Maybe it’s organisation, motivation, a will to win and a way of communicating that will to win. 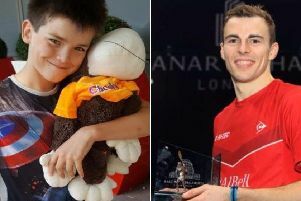 Sheffield squash supremo Nick Matthew has selflessly donated his £10,000 tournament prize money to fund a boy's brain tumour treatment. 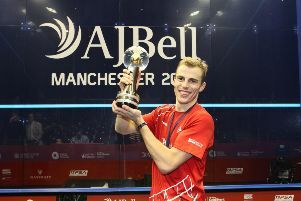 Nick Matthew picked up an incredible ninth British Nationals title on Sunday with victory over Joe Lee in Manchester. 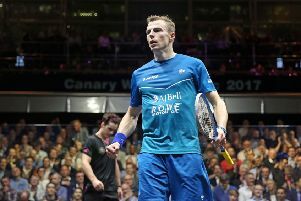 Fourth seed Nick Matthew booked his placed in the quarter-finals of the World Championships for the 10th successive year after a hard-fought victory over Simon Rösner. I have really missed my two-week training camp at Williams College in Massachusetts.